Keeping your interior fresh, vibrant and rich looking is challenging considering the rough and rugged use your vehicle gets day-in and day-out. 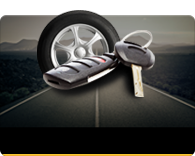 Nation Safe Drivers offers that protection! Nation Safe Drivers Appearance Protection System protects your vehicle against acid rain, inclement weather elements, tree sap and bird droppings. (Please see contract for the specific terms and conditions of coverage.) The EPA - United States Environmental Protection Agency states that paint may be damaged by some form of environmental fallout, i.e. acid rain, etc. Protect now. Keep that beautiful showroom shine and you'll enjoy added value at trade-in time. Fabric requires care and protection especially when it's under constant use day-in and day-out. Nation Safe Drivers protects against most fast-foods stains, i.e. soda, coffee, mustard, ketchup, french fries! Leather and vinyl not protected can be damaged by fast food stains. Harmful U.V. rays from the sun can also affect the appearance of your leather and vinyl. 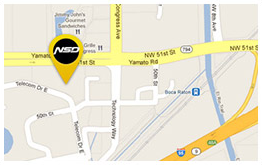 Nation Safe Drivers knows protection means added value for your vehicle.